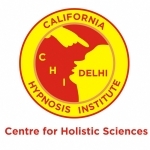 ThetaHealing® – CHI-DELHI…Be a part of QUANTUM CHANGE !! Upon learning the technique of ThetaHealing®, you will see that everyone has intuitive abilities that can be used to bring about spontaneous physical and emotional healing. Using this personal process, you will help yourself, as well as your friends and family. If there is only one energy-technique that you learn, let it be this one.. ThetaHealing® will change your life forever. The technique is so simple it is perfect. It does not demand anything from you, or that you give up any other teachings. ThetaHealing® transcends dogma and goes beyond all religions yet is accepting of them all. Just as Christ said, “All these things you can do and more,” in ThetaHealing® you will learn that nothing is impossible if you dare to believe. If you’d like realization and results, perhaps ThetaHealing® is for you. ThetaHealing® is not a religion; it is a technique to change your beliefs according to the dictates of your own conscience. Drink plenty of water. It is important to be fully hydrated, this will allow your muscle testing to be clear and strong. During most sessions muscle testing will be needed. Coming into the session with an attitude and intention of wanting positive change and being ready for positive change is also important. It’s important to be clear on what issue you want to work on during the session and if you have an idea of how your issue is serving you or what you’re learning as a result of the issue, this will rapidly accelerate the pace of your session. How do I find a practitioner that is right for me? We recommend that you call a few different practitioners. Every practitioner is different. Your intuition will guide you to the right practitioner that will help you to overcome your current challenges. The more Theta Healing training the practitioner has, the more experience they have facilitating deep belief work on others and the more healing they have done on themselves which will help make them more prepared for your session. In ThetaHealing® you talk about the Creator. What is the Creator? The Creator is the spirit that intertwines and binds all things in existence. Why doesn’t ThetaHealing® become a Religion? Then it wouldn’t be for everyone. I train people from all religions and believe every religion is wonderful. It’s waking up our DNA to our highest potential. How many strands of DNA do we activate? We have 2 strands of DNA in 46 chromosomes, but when we activate DNA we activate the phantom strands, giving the appearance to the intuitive of 12 Strands, but really to the trained intuitive observer there is hundreds. Don’t worry about the little stuff, when you command an activation, everything is activated including mitochondria. * Earth Schumann Waves will activate it. * Group consciousness, after enough people have been activated. * You or someone else can activate it. Do you have proof you had a tumor or problem with your leg? Of course I do, I am a Capricorn. Besides all the witnesses, I have records, x-rays and MRI’s. 2008 was the first time anyone asked me to see them. I now show them to my classes. I also have records of my heart problems being healed and from my coma in November 2007. No. I like most doctors and many times recommend one go to a doctor. Many of my friends are doctors and their insight can be very beneficial. What books do you suggest? There are many great books out there. I think any book that catches your attention and is beneficial to you is great. I really like Joseph Murphy, Power of the Subconscious Mind and think this is a great place to start for learning about your subconscious. I am adding many new books to the site that my teachers have written and books that I think are enjoyable and useful to read. Do you have people sign a contract to teach ThetaHealing®? Yes I do have them sign a contract. This is to keep the work pure. When people attend a ThetaHealing® course that is what they expect to be taught. Our teachers can teach any modality they want, we just require that when they teach a ThetaHealing® course they only teach ThetaHealing® during those days the course is going on. We require they don’t mix modalities while teaching a course. Me and my teachers are dedicated to keeping ThetaHealing® pure. How do you monitor your teachers? Our instructors monitor one another and our practitioners monitor our teachers. If we receive complaints we look into them. Have you heard of EFT or EMF? Do I know what it is, not really, but some of my practitioners and teachers practice them and I have heard good things about them. I think any technique that helps people is a good technique. What do you think of the Reconnection and Eric Pearl? I’ve only met Eric Pearl once and he seemed polite. I’ve never studied or practiced the Reconnection, but my opinion is anything that helps people is great. I think Reiki is great. I think NLP is great . I think hypnosis is great. Does ThetaHealing® have a Trademark? ThetaHealing® is a Registered Trademark. The term ThetaHealer® is also a Registered Trademark.